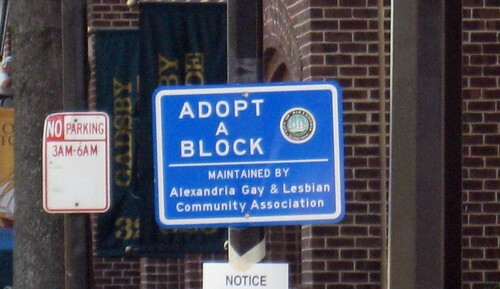 Last weekend I was in Alexandria, Virginia. My hotel which was mega-cheap and right next to a Metro station was out in the exurbia hell next to the Beltway surrounded by surface parking, but not too far away was Old Town. While walking around the King Street area I snapped a few photos. I was very confused by this CVS, it appears to not have a parking lot or a drive-thru. How do people shop there!?! Wondering where the shops are? Wondering where and how far away the waterfront is, the Metro Station..? This is not the prettiest sign, but it works. Wondering what is up with that building, wondering when the city is holding hearings about it? 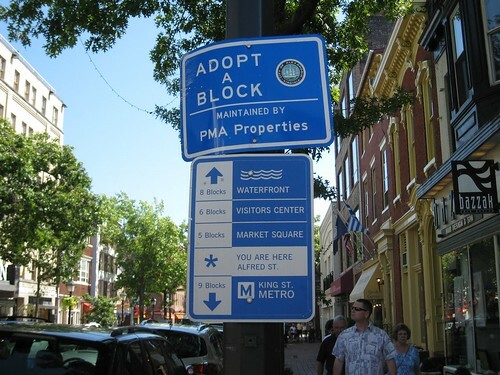 Some nice examples of urban planning and public communication. Tell me, with all that being done did you get the sense that the community was more involved in the development process? 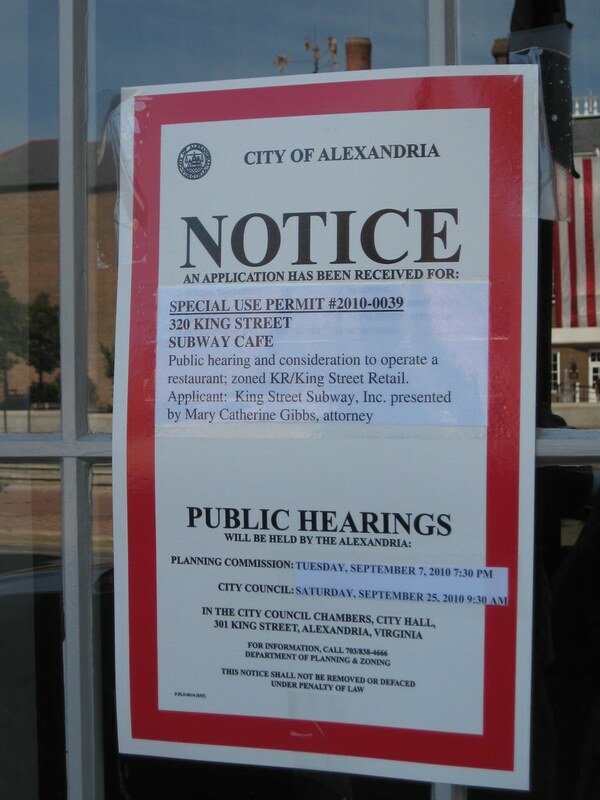 The Subway need a variance because the property is zoned for retail and not restaurant? Went to College in DC. That CVS (which used to be a Peoples Drug) has been there for decades built back before the move to free standing stores and drive thrus. Old Town also has some very tough historic zoning around maintaining their streetscape. Go out toward 395 and the Beltway and you get back to a more “traditional” pattern of post war suburban development. Head south on Rte 1 and you won’t have to go too far before you come across buildings set back behind surface parking and drive-thrus. Communities have to make a conscious effort to articulate what they will and will not allow. The residents of Old Town are very aware of what’s allowed. But even then, you never know.. Unfortunately it’s not until a project like CVS in Edgewood comes along that people actually realize what their local zoning allows. On a positive note, Providence’s zoning seems to have pretty much killed the Brewed Awakenings project on Hope. J. I wasn’t there long enough to really assess how involved people are. 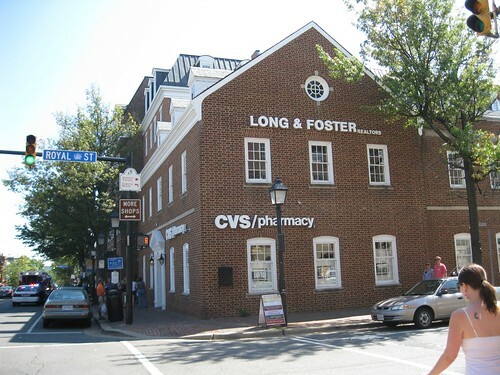 I lived in D.C. for 18 years and shopped at that CVS and others like it many times. 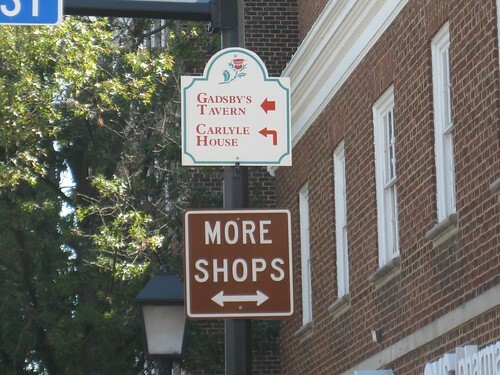 That store, and many others like it in the D.C. area, don’t need parking or drive-throughs because their neighborhoods are zoned for high-density residential and retail development. Even in a recession, demand for that developed space exceeds supply — resulting in heavy pedestrian traffic and sufficient population density to make mass transit economical. Those stores’ neighborhoods were badly scarred by the 1968 riots. The city could have bulldozed itself and built strip malls or freeways through the battle zones. Instead, it waited decades (amid much frustration among residents including me) for high-priced redevelopment to trickle out from key intersections and metro stations where the city and its developers could concentrate government, residential, and commercial resources. Compared to Rhode Island, that was relatively easy to do in the D.C. area, which has enjoyed decades of steady growth driven by the government, universities, and international cultural appeal — all of which draw high-wage industries and workers. I’m too new to the Providence area to judge whether its base of government, education, arts, and port trade are sufficient to generate anything close to the high-density development that makes highly pedestrian city life economical.